The foundation convenes, organizes or assists in funding numerous conferences, symposia and other events. 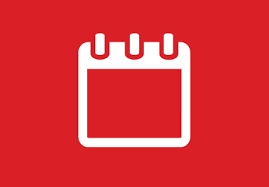 Check out the calendar of events ESF organizes or attends, as well as the events for anyone who is interested in linguistics and interlinguistics. Use the search function for the events (e.g., "Nitobe", or "UN Series"). Symposia at the United Nations: The series of symposia at the UEA office at the United Nations in New York is organized by the study Group on Language and the United Nations, in co-operation with the University of Hartford, the Centre for Research and Documentation on World Language Problems and ESF. The study Group on Language and the United Nations is a group of scholars and practitioners interested in: how the language policies of the United Nations work in practice, how people at the UN use language and make choices among languages, and how the UN communicates linguistically with people outside the organisation itself. Nitobe Symposia: The Nitobe Centre For Language Democracy was inspired by a conference series (the Nitobe Symposium) organized by the Centre for Research and Documentation on World Language Problems. These conferences bring together activists, academics, bureaucrats and politicians to examine the linguistic dimensions of European integration and globalization. The Nitobe Centre For Language Democracy was developed to raise questions about international communication and egalitarian language policy. The Centre also coordinates an activist network to work in this area. A specific focus of the The Nitobe Centre is to raise the level and intensity of public and political debate over language policy in a unifying Europe, with a view to developing a common, constructive, realistic language policy framework that would balance the protection and celebration of linguistic diversity with the need for effective, high-quality communication amongst all the citizens of the EU. The Centre was inspired by a conference series (the Nitobe Symposium) organized by the Centre for Research and Documentation on World Language Problems. The latest Nitobe Symposium took place in Lisbon in August 2018. Please consider supporting ESF with a donation.